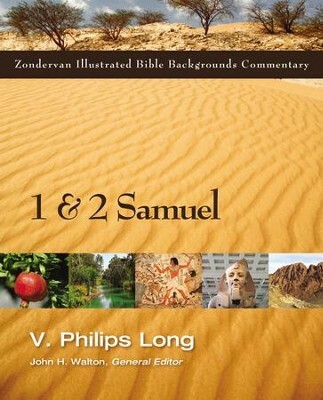 The Zondervan Illustrated Bible Backgrounds Commentary presents a scholarly and critical introduction, in a beautifully illustrated presentation, to the books of the Bible. In Volume 2 top scholars such as David W. Baker, lead us through the biblical books of Joshua, Judges, Ruth, em>and 1&2 Samuel. Many today find the Old Testament a closed book. The cultural issues seem insurmountable and we are easily baffled by that which seems obscure. Furthermore, without knowledge of the ancient culture we can easily impose our own culture on the text, potentially distorting it. This series invites you to enter the Old Testament with a company of guides, experts that will give new insights into these cherished writings. Features include &bull; Over 2000 photographs, drawings, maps, diagrams and charts provide a visual feast that breathes fresh life into the text. &bull; Passage-by-passage commentary presents archaeological findings, historical explanations, geographic insights, notes on manners and customs, and more. &bull; Analysis into the literature of the ancient Near East will open your eyes to new depths of understanding both familiar and unfamiliar passages. &bull; Written by an international team of 30 specialists, all top scholars in background studies. John H. Walton (PhD, Hebrew Union College) is professor of Old Testament at Wheaton College Graduate School. He is the author or coauthor of several books, including Chronological and Background Charts of the Old Testament; Ancient Israelite Literature in Its Cultural Context; Covenant: Gods Purpose, Gods Plan; The IVP Bible Background Commentary: Old Testament; and A Survey of the Old Testament. I'm the author/artist and I want to review 1 and 2 Samuel - eBook.